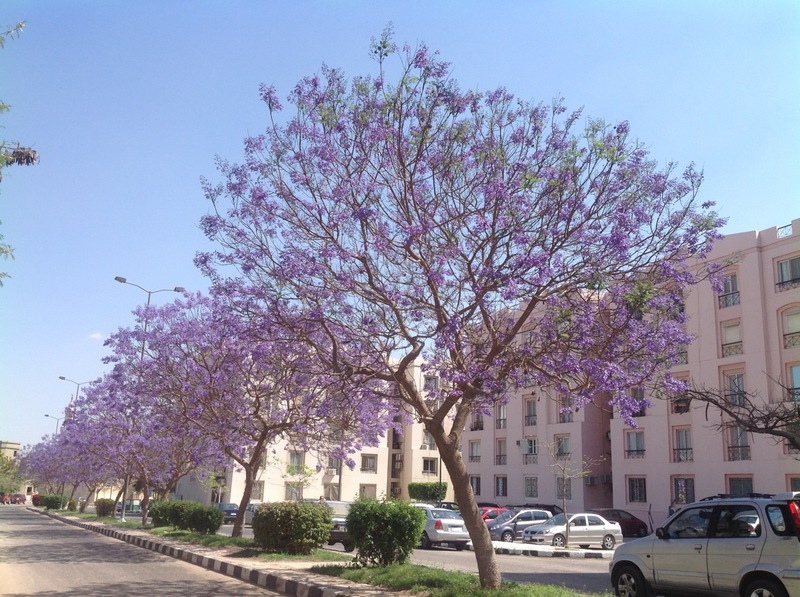 Right now, the jacaranda trees are in full bloom – and how lovely they are! Monday is “Shamm El-Neseem” when Egyptians take a holiday, go on family outings to a park or garden and – by tradition – picnic on a curious spread of food including cured or salted fish, spring onions and brightly painted hard-boiled eggs. The origins of the festival, whose name means “smell the breeze”, are lost in the mists of time. It is assumed to go back to Pharaonic times, but the day is also connected with the Coptic Christian calendar as it is always celebrated on the first Monday after Easter. Egyptian friends have told me that it is (or perhaps was) customary to place an onion under the pillow the night before the festival. According to Michael Haag, in his “Guide to Egypt”, the onions and fish are said to prevent disease, and the eggs to symbolize life. There is validity in this: some Coptic churches feature ostrich eggs, representing the Resurrection. Onions, grown in Egypt since ancient times, have antibiotic, diuretic and expectorant properties and the juice is used in herbal medicine to treat all sorts of illnesses, including coughs, colds, and ear and stomach complaints. Onions were even used in mummification. But the fish is beyond me either to explain or to eat; many Egyptians I know tend to be of the same view. So it’s a boiled egg for breakfast, with a nod, perhaps, in the direction of our raised beds, two of which are planted with: guess what – onions! The bee eaters are having their own spring festival too: they have been here in some numbers for the past couple of days and are feasting on our bees. The swallows are joining in the fun. Maybe the bees’ current predilection for swarming is attracting attention? There is also an infestation of aphid on the pear tree and not enough ladybirds to deal with them, so I have been hand-cleaning the leaves…!